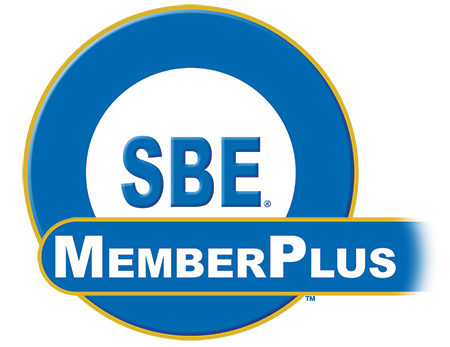 It has been almost one year since the SBE began to offer the SBE MemberPlus option. If you are not aware of what this is, those who choose the option receive a significant increase in membership value. Access to all live and archived webinars the SBE produces during the membership year, at no additional cost. With the never-ending changes in technology, most SBE members look for ways to keep up at a reasonable cost. Our members' desire to learn about new technology was one of the reasons the SBE created this membership option. As of the end of September, 488 new members have joined and, as I mentioned earlier, 41% have chosen the SBE MemberPlus option. It's safe to say that the added membership value has helped attract many of them. If your employer has not been willing to cover the cost of traditional dues in the past, let them know about the expanded educational benefit. They may just decide that the added educational benefit, which potentially could help their station's performance and bottom line, is worth the investment and be willing to pay for it.